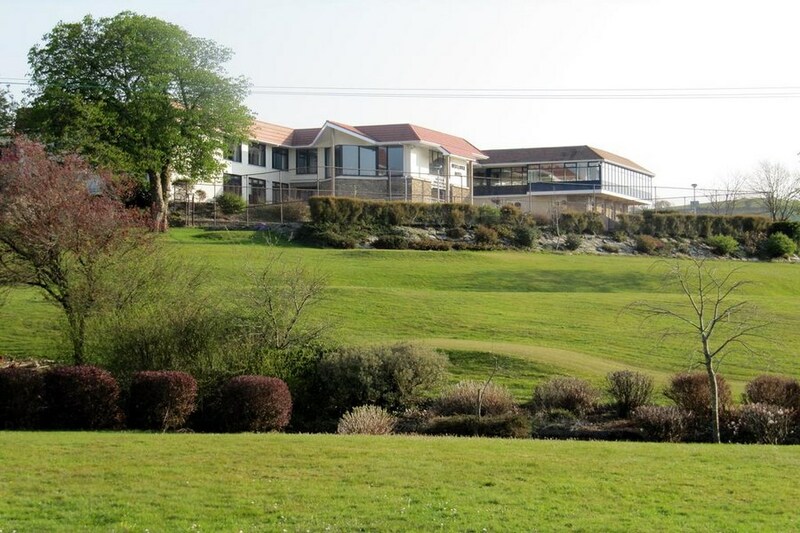 The Westlodge Hotel offers a host of accommodation to suit everyone from the discerning traveller to the large family and indeed the business client, choose from 90 spacious guest rooms. All our hotel bedrooms consist of ensuite facilities, direct dial telephone, TV with multichannel, tea/coffee making facilities and hairdryer. 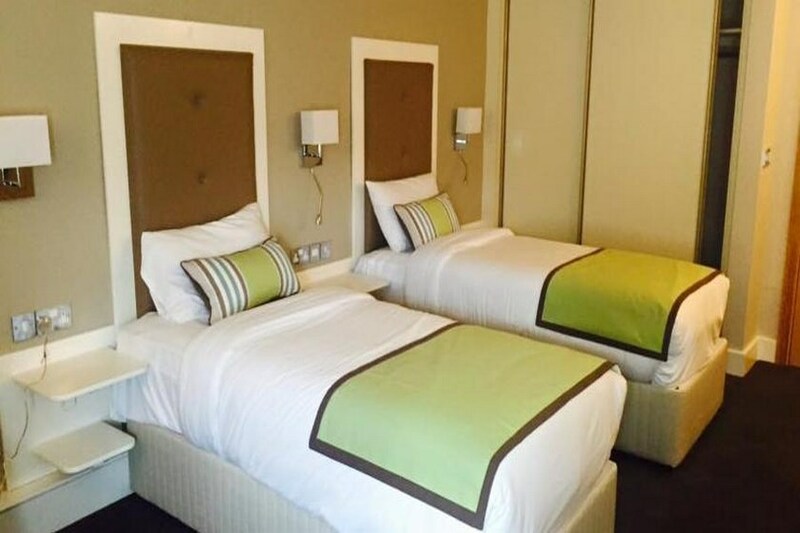 We also cater for those travelling with children, all family rooms consist of 2 double beds and can sleep up to 2 adults and 2 children,cots are available on request. The friendly team here at the Westlodge look forward to welcoming you.All rooms are non-smoking. The Westlodge Hotel & Leisure Centre is the ideal base for touring West Cork and Kerry, with the Ring of Kerry just a short drive from the hotel. There are numerous tourist attractions close to the hotel, Bantry House & Gardens, Sheep's Head Walking or Cycling Trail and Bantry Golf Club to name just a few and many other wonderful tours within easy reach. Guests can wander about the delightful town of Bantry and enjoy the market in the town centre every Friday, selling local produce, crafts, plants, fashions. .DIRECTIONS From Cork â€“ Follow signs for Kinsale (N27) at Kinsale Road Rounabout, follow signs for Killarney/WestCork (N25), at Sarsfield Road Roundabout, take 2nd exit (N25), at Bandon Road Roundabout take first exit (N71), straight through next small roundabout, follow N71 to Bandon, passing through Innishannon. At Bandon turn right at T Junction, following signs for Bantry/Dunmanway R586, passing through Enniskean/Ballineen and Dunmanway, where you will follow signs for Bantry, continuing on R586, passing through Drimoleague at Junction N71, turn right and follow road to Bantry. From Killarney, follow signs for Kenmare, N71, at Moll's Gap turn left (signposted Kenmare), follow signs for Glengarriff N71, follow signs to Bantry (N71) at Ballylickey Bridge, turn right and straight through to Bantry. From Macroom (N22), you will see signed posted for Bantry, turn right (R584), at Toon Bridge, bear left, cross river bridge and bear right, through Inchigeelah, Ballingeary and Keimaneigh, at Ballylickey Bridge, turn left onto N71, straight through to Bantry.. The more energetic guests can enjoy The Sheep's Head Walking and Cycling Trials which starts directly across the road from the hotel. Short, sweet and scenic, this (The Sheeps Head Way) must be the best in Ireland. It takes in a superb moorland crest and rugged cliffs, as well as easy lowland terrain.Bantry House & Gardens â€“ walking distance Bantry Bay Golf Club â€“ 2 miles Adrigole Arts (Beara) â€“ 22 miles â€“ Glengariff (Bamboo Park, Golf Club) â€“ 10 miles â€“ Sheep's Head â€“ walking distance â€“ Cycle route West Cork Garden Trail â€“ West cork Sailing and Powerboating Centre â€“ Beara (Adrigole) 22 miles â€“ Bere Island Ferries â€“ Bere Island â€“ 32 miles â€“ Beara Diving â€“ Castletownbere â€“ 32 miles Sherkin Island â€“ 27 miles â€“Skibbereen Heritage Centre â€“ Skibbereen â€“ 19 miles â€“ Whale & Dolphin Watching West Cork â€“ Union Hall â€“ 25 miles â€“Schull Planetarium â€“ Schull â€“ 15 miles â€“ Karycraft â€“ Cruise from Schull to Cape Clear & Fastnet Rock â€“ 15 miles â€“ Seafari (Seal Watching Cruises) â€“ Kenmare â€“ 28 miles â€“ Sea Kayaking â€“ Castletownbere â€“ 32 miles â€“ Baltimore Driving & Watersports Centre â€“ Baltimore â€“ 27 miles..
Had a great time, rooms were lovely and clean, staff were fab as was pool and play area for my 2 year old. Only complaint is that when I went to check in they told me that my reservation had been cancelled and they had released my room however I never cancelled. I was then told I was lucky they had a spare room and could accommodate me which was a bit annoying since I never emailed or phoned to cancel. Despite this I would stay in the Westlodge again as everything else was great. Room very stuffy and uncomfortable. Were charged €5 per child for breakfast and €9 per child for meal. €36 goes on your bill for 2 kids automatically. Got our €18 back as kids did NOT have meal. However had to pay €20 for 4 bowels of coco pops. Our children are only aged 3 and 7. I have never being charged before for a 3 year old for breakfast, told us it was their policy to charge for all children regardless of age. We went to the Westlodge as a family group to celebrate the New Year. We had a great time. The rooms were lovely and well maintained. The staff were friendly. The leisure centre was nice and clean (but a bit cold in the changing rooms after a swim!) and the pool was lovely and warm. The food was amazing and such a great choice and reasonably priced. The entertainment for NYE was *interesting* but everyone had a great time and that's all that matters. It would have been good if the band could have stayed on for a half hour even after the countdown, as they literally disappeared after it. I would definitely recommend the hotel for a stay for families and couples alike. If there had been a kiddies disco to keep the kids entertained for an hour or two on the evening that would have been great. The lobby area of the hotel was like a crèche for the night. It is located a good 2 miles from the town centre, a nice walk on a good day. Breakfast was continental buffet and hot food was served for you, but you could go and get seconds if you wished. The hotel has recently been taken over by new owners and you can see that a lot of work has gone into it since my last stay in June 2013 and also there are plans being made for more renovations. I look forward to another visit and seeing what they do with the place. We had a family gathering in The Westlodge Hotel on 24th and 25th August 2015. From the very beginning the hotel staff were just lovely! Nothing was a problem. Everyone was very friendly from receptionists, bar staff, dining room staff to cleaners. Sandwiches and tea were provided on the first night for some of the party who arrived very late. This was greatly appreciated. The food over the two days was lovely with generous portions. The rooms were comfortable and very quiet apart from the mornings when we were awoken by the banging of doors. Overall we really enjoyed our stay, found it good value for money and would definitely return. Thank you Westlodge! Stayed here on 21-23 August on a DB&B basis. Hotel was located within walking distance from Bantry town, nice walk to and from the town. The hotel room was a little disappointing even if it was clean. The food was good and the staff were lovely. The evening entertainment in the bar on the Friday was poor. Would return there as it 's a good base for visiting the area. Hotel website very deceiving it has not been decorated in years. The first room we got, the curtains were hanging on a wire and the room was like a sauna (hotel had no air con) so we had to change rooms. The room doors are also like prison doors. The hotel bar and restaurant are tiny and very old fashioned. The food was nice. My daughter and I got a bug the first night we arrived so we had to leave on the Monday at 5pm and the hotel didn't even give us as much as €10 back. I would not recommend this hotel to anyone. We had a lovely pleasant stay at Hotel. Staff are very helpful and friendly and good with children. Plenty of choice for dining. Hotel is clean only draw back rooms badly need updating decor wise as I'm sure they are aware of. Bathroom clean but no storage as only glass ledge over toilet which bad place to have. Shower only ok. Family rooms we stayed in not to child friendly a lot of corners on needles objects so have to watch small people. Bedside lockers would be good idea instead of square hollow shelf stuck to walls. Yea facilities as my daughter said something you'd see in old folks home along very old kettle with outdated radio stuck in wall between beds. Disappointing no wifi access in bedrooms especially if have teenagers as not great choice on TV! But on a whole mostly cosmetic as we did a lot of sight seeing and out and about was perfect.......we will be back!!!! Excellent and friendly staff, hotel old fashioned, dinner very poor, good breakfast. Very clean. Don't think I would stay there again. Very unpleasent smell in the foyer. GREAT HOTEL We stayed at Westlodge Hotel on 6 June, 2015. It is a great place to stay. Staff were very friendly and helpful. The Leisure Centre was great. We had a meal that night which was excellent. We had a lovely breakfast next morning also. There were lovely walks around the hotel and the views were breathtaking. We had great music and dancing in the bar that night. We would highly recommend this hotel. County Limerick Guests. Staff and food couldn't have been nicer. Only quibble is that as the heating system is the old type, the hot water pipes in the room remain hot, even when the radiator is off. Can be a bit stifling if you don't like sleeping in a heated room, but maybe the pipes could be cladded to keep unwanted heat in. Otherwise, couldn't have had nicer hosts, right from the reception staff to Tom in the restaurant, and the ladies servicing the rooms. Everyone seemed to take extra care in their work which was refreshing to see. Well done West Lodge! We had a family room for 3 nights in early August 2014. Traveled with a 3 and 1 year old. Positives: Clean spacious rooms - Good food - really lovely & helpful staff - spacious lobby for kids - loved the pool area - perfect location to explore west Cork. Negatives: Rooms in the rear building were outdated/dowdy - The bedroom doors banged very loudly (annoying when trying to get kids to sleep) - the access to this rear building was terrible (trying to drag kids and luggage up stairs across corridors with multiple doors and then down stairs!!) - shower ran hot then cold at times Overall, we had a pleasant experience - the positives did out-weight the negatives. it appeared that all family rooms are in this rear old building, which was very frustrating with small kids. Large buggies/travel systems were abandoned at a central point as it was not feasible to bring them any further! But if you are aware of these issues before you go, and don't get bothered by these "adventures" then you'll be grand!!! We booked 3 nights stay at great value enjoyed it so much we decided to stay a 4th night our 2 children aged 10 and 14 had lots to do tennis golf and leisure centre with swimming pool squash court table tennis .The food was lovely and reasonably priced to suit a family and the staff were so friendly. There are so many beautiful places to visit in West Cork they never got bored though wii fi wasnt so good but i was glad the kids took a break from their phones etc. We were lucky with beautiful weather aswell.I would highly reccomend this hotel for a family holiday. Hotel facilities were great. Food was excellent. Staff were all very friendly couldn't do enough for us. We really enjoyed our stay and would recommend it to anyone. Very good would stay again. We enjoyed our three night break here recently. The hotel was clean and comfortable but the bedrooms are very dated. However, the bed was comfortable. The food was good and the staff were very helpful and friendly. I would stay here again. Stayed just the one night but enjoyed it. The room was plain but very clean and the bed was comfortable. Used the leisure centre which was lovely. Breakfast was good. The staff were very friendly and helpful. Food in the bar was good. I would stay there again. Very clean ,nice hotel ,friendly staff and excellent service.We stayed in Westlodge Hotel 3 nights.Great place for all family.A lot to do.Will be back. Had a lovely two day break at West Lodge Hotel over Easter accommodation was fairly basic but sufficient for our needs. The staff were all very friendly and helpful' we ate in the Restaurant on our first night and in the bar the second night - food was excellent on both nights . Bantry town was only a short distance away and we enjoyed the walk through the grounds. All together a satisfactory stay and would not hesitate to recommend it or return ourselves at some later date. The staff were very friendly. We enjoyed use of the pool and gym. We had a few drinks by the fire in the evening which was cosy. There is a nice restaurant with a view of the sea. Breakfast was very good. Overall the hotel is very family friendly. The rooms we stayed in were rather small and the decor a bit dated but this was not a major issue. Overall our experience of the hotel was very positive, good value for money and we enjoyed ourselves. Thank you to all the staff. We travelled to this hotel as a family with our 2 year-old daughter. We fell in love with the place. Admittedly, it may be dated but it was spotless, food was excellent and the staff were just amazing! Room was clean and comfortable! Dinner each evening was excellent. Leisure Centre and pool was great. We will definitely be back! Hotel was impressive at the front. The staff were friendly and courteous. However, this is were it stopped. The rooms were clean but dated The dinner was just adequat and basic. The breakfast was eextremely poor. It was a served buffet which did not make sense. You wete made to feel like oliver twist if you looked for an extra slice of bacon. You had to serve youself with everything else including coffee. The fruit was all canned. The staff were not trainef properly. Would not want to stay here again. Great value 3 night stay. Very friendly and helpful staff. Lovely Pool and leisure centre. Breakfast and dinner very good. Comfortable room , excellent location and gardens. Would recommend. Staff, Lovely. Location, Great. Food, Surprisingly Good. Rooms, Dismal. Leisure Facilities, Excellent. I would recommend The Westlodge Hotel. It is a nice hotel, with great facities. The rooms are a little dated but very well kept. We used the swimming pool, jacuzzi. sauna & steam room every day during out stay. The food in the restaurant was really nice. We found the staff incredibly friendful & helpful - this alone put the hotel in a league of its own. I think it is safe to say we will definitely go back there. Hotel basic enough, having said that it is Clean and quiet. Staff very friendly and helpful. The food was tasty but the service and setup for breakfast was terrible. Their excuse was everyone came together at the same time but they should have it laid out better, we started to queue at 9.30 did not finish breakfast until 11. A very pleasant stay in a lovely hotel. West Cork scenery out of this world. Entertainment in the hotel, like most hotels very bland. Could do with some traditional music, being in the heart of Irish culture. Hi I would not give this hotel 3 stars, the conditions are rather for a 2 stars hotel.The hospitality of people that work in this hotel is 5 stars. Friendly staff and lovely breakfast! Very comfortable bed. 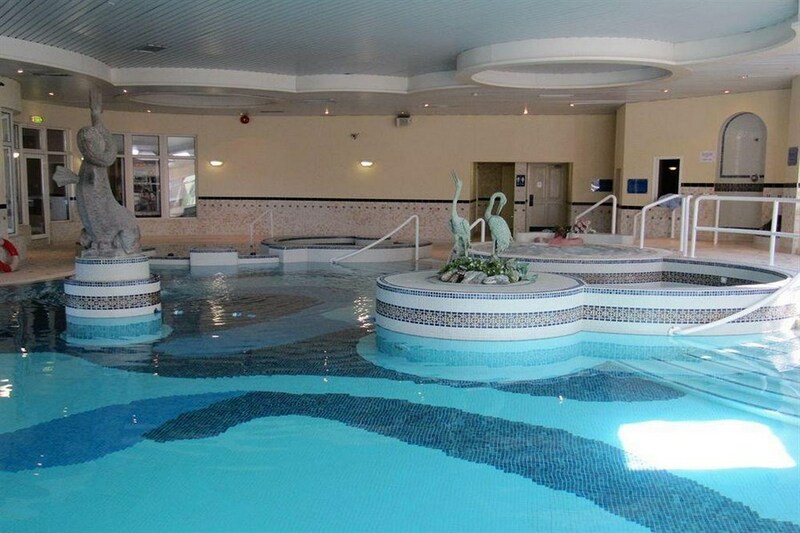 Beautiful pool and leisure facilities. Would recommend hotel as a good base in Bantry and West Cork. rooms a bit old fashioned, but lovely food and very friendly staff. great for children. yes we would recommend this place. I would not recommend staying in this hotel. I found the room and facilities to be old and not up to modern standards.The menu was limited and the quality of food was poor.The staff were friendly but it seemed there were too few there to run the hotel which resulted in difficulty being served.The room we stayed in had no "do not disturb" sign and the cleaners gave one knock before entering the room without giving one second for a reply,this happened every morning. We had a very pleasant stay for 2 nights, family room lovely & roomy but walls very thin- didn't use leisure centre but heard it was really good:) Had great value evening meal €25 for 2 courses - lovely view from dining room.... breakfast ok... really nice young local staff. Location is very good for sight seeing Beara penninsula...... fantastic & breathtaking scenery ( we cycled it) My first impression was poor as the tables in the lobby where people eat ,although empty were all full of dirty plates etc..... I would stay here again without any hesitation - gr8 value & lovely young friendly staff. I stayed at the Westlodge Hotel in Bantry on June 15th 2012. i found it to be a very nice hotel, although quite old fashioned, the welcoming staff aswell as a high standard of cleanliness more than made up for any shortcomings in decor. As i had my three children with me the leisure centre and swimmimg pool were a great attraction and i was very impressed with the upkeep of same. The food was lovely and i liked the effort all staff made with clean uniforms and name tags.